The DELTA Team would like to wish all our friends und business partners a Merry Christmas and a Happy New Year 2012. Also this year we have decided to give a donation to the German section of "Aerzte ohne Grenzen" / "Medecins sans Frontiers" / "Doctors without borders" instead of sending out Christmas presents. This independent organisation provides emergency aid to people in more than 60 countries affected by armed conflicts, epidemics, natural or men made disasters or exclusion from health care. For more information please look at following websites: "www.aerzte-ohne-grenzen.de" or "www.doctorswithoutborders.org". 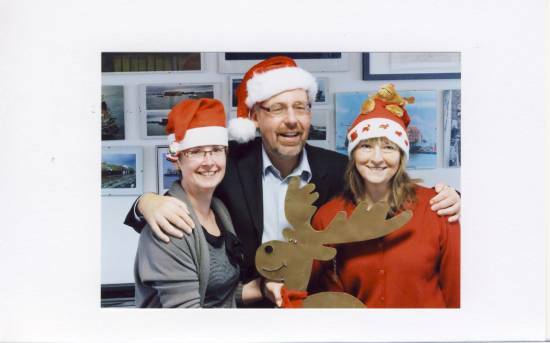 We will refrain this year from making any comment to the dark clouds which cast again a shadow over the worldwide economic stability in general and- at least the nearer - outlook for container shipping in particular but want to enjoy you instead with a special Christmas foto of our crew.